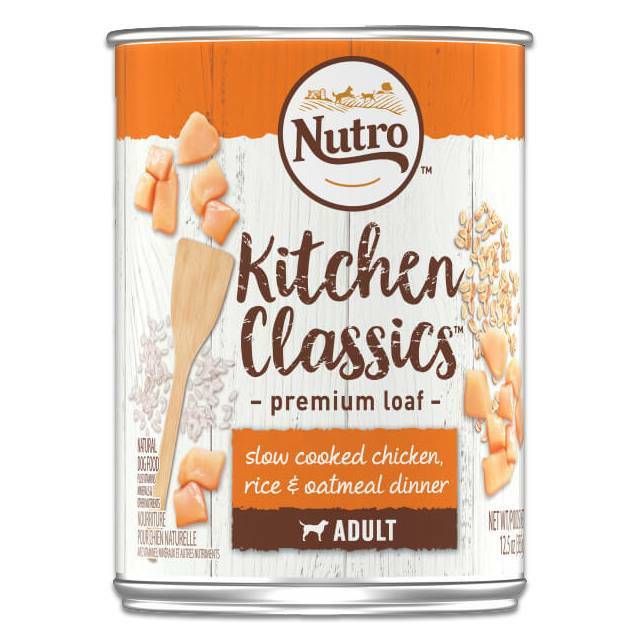 NUTRO™ Kitchen Classics™ Slow Cooked Chicken, Rice & Oatmeal Dinner Premium Loaf is a tasty recipe crafted for Healthy Skin & Coat and helps support healthy digestion. This natural dog food offers complete nutrition, rich in nutrients and full of flavor. NUTRO™ Quality Pledge: Natural ingredients carefully sourced from our trusted network of farmers and suppliers, no chicken by-product meal, soy, artificial flavors or preservatives.